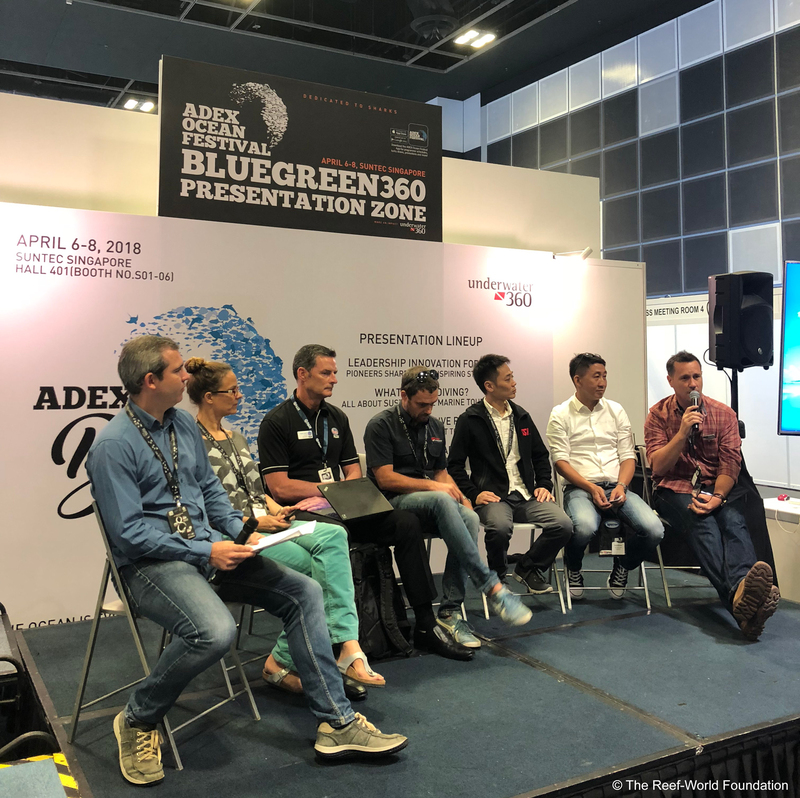 Singapore, 6th April 2018: Once again, among the excitement and fun filled schedule of the Asian Dive Expo (ADEX) in Singapore last weekend, a group of 50 industry leaders gathered for a deeper purpose. The event was a true collaboration; Co-chaired by UN Environment and The Reef-World Foundation (Green Fins international coordinators), organized by UnderWater 360 and supported by the Blue Ocean Network. It brought together some of the giants of the diving industry to share how their businesses are working towards sustainable consumption and production patterns and minimizing impacts to life below water.